Mountain Architects : how to accomplish green design, naturally. With all the talk about Green Design and Green Architecture and eco-friendly new home design and Green House Plans these days, many people’s heads are spinning. What’s it all mean? What to do? Rand Soellner AIA, one of the world’s leading mountain architects has the answer for those wanting green home plans for their mountain homes. What is it? Green residential design systems and material choices made possible by mountain architects. For instance, one of the key aspects to sustainable architecture is embodied energy. The more technology and energy that has to be applied to create a given material or building system the higher the embodied energy. The higher the embodied energy score, the less “green” a material or system is. Mountain architects help you with this by including low-embodied energy elements like natural boulders and rocks, timbers, wood structural systems, wood siding and flooring, high insulation values, tighter construction methods and shading of glass areas in warmer months. Please see: www.HomeArchitects.com for more articles about mountain architects and mountain home design, green home architects, Green Architecture and Energy Efficiency. Mountain architects design in beautiful scenic places like this. Here is one of Rand Soellner's projects under construction in the mountains. (C)Copyright 2004-2010 Rand Soellner, All Rights Reserved Worldwide. As a licensed professionals, mountain architects are required to take continuing education courses, including on Sustainable Design, as administered by NCARB (National Council of Architectural Registration Boards). A licensed architect has to pass a test for each course taken. Also, as a member of the American Institute of Architects (AIA), mountain architects must take continuing education courses on SD (Sustainable Design), which for us, is sustainable architecture. Again, a licensed architect has to pass a test for each course. Furthermore, mountain architectural companies like Rand Soellner have been designing energy-efficient and ecologically sensitive projects for decades, including homes that were awarded Energy Conservation Awards from major power companies (such as Florida Power Corporation) as long ago as 1982, long before “green” became a household word. Today’s licensed mountain architects have a great deal of training and experience. Soellner also performed the Site Selection Analysis, Programming, Master Site Planning and Concept Design for the new Florida Solar Energy Center in the late 1980s. There’s some real expertise here, that’s been accumulated over decades. In addition, Soellner was called in multiple times to fix “sick” buildings for a major SE USA county whose structures had moisture penetration problems (Soellner was not the original architect, but was called in to help by diagnosing and solving the problems). What does this have to do with Green Architecture? Well, if you consider a healthy home and building to be part of the Green movement (and Rand Soellner does), then having a healthy home, with cleaner air to breathe and less materials off-gassing is part of the equation. “Green” means many things to different people. Soellner views energy architecture, environmentalism and healthy design in a holistic context, where everything is connected to everything else. For instance, just the decision to go with a wood structure actually Contains CO2. How? Well, it turns out that during photosynthesis, plants, including trees, absorb carbon dioxide and exhale oxygen. If the plants decompose, or are burned, they release the CO2 that they contain. However, as long as the wood is put to good purpose, like holding up a house, the CO2 remains contained. Spread out over the entire planet, that’s a lot of carbon dioxide that we humans can help keep contained inside structural wood for our houses. And that’s a benefit for reducing greenhouse gases, and requires less energy to produce the wood products that aluminum and other higher embodied energy materials. And mountain designers use lots of wood. Mountain architects and the mountains. Mountain architects design to frame views like this. This is what mountain architects design for: view of the mountains. That is why people want to live in the mountains. Mountain architects have a job to do: capture those views. Once that is accomplished, other things are details. This healthy and enjoyable respect for our mountain views is what inspires us to protect them, make national parks of them and enshrine them within conservation easements. 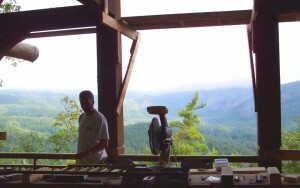 tags: mountain architects, timber frame, post and beam architect, cashiers nc architect, highlands nc, asheville, atlanta, hendersonville, brevard, murphy, waynesville, mount mitchell, burnsville, nashville, lake lure, seneca, lake hartwell, lake jocassee, lake burton, stone mansion, cottage, rustic, custom home, luxury residential, aspen, burbank. 1. All of the materials below have Low embodied energy Except? 2. By law, licensed architects have to have? c. CEUs (Continuing Education Units). d. degrees in oil industry technology. 3. Why do many people want to live in mountainous regions? 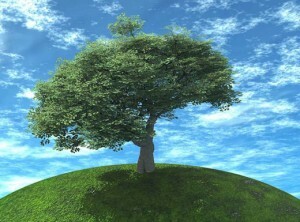 then click here: Green home analysis to go to the next level 9. 1. b., 2. c., 3. a.